After an upsetting day at work I decided to do some retail therapy. I went shopping at the local health food store. Is it just me or are you also fascinated by the all new things at the health food store? Now they sell kale chips! Actual kale leaves baked or dehydrated (I’m not sure which one) in flavours like sour cream and onion. After picking up some raw honey I ended up in the hygiene area. I needed to pick up some toothpaste and I noticed the array of “natural” deodorants. I’m getting better at reading the labels and questioning the ingredients. I couldn’t help but be bewildered by the “natural” ingredients in most of the deodorants. It all sounded very chemical to me. Then I noticed most of the deodorant packaging said “gluten free”. I’m so confused…. Since when did gluten go into deodorant? I came home and made this tasty side dish to go with my steak, YES steak, the frozen pork items are almost gone. I’ll soon have some room in the freezer for some grass-fed beef. Take the asparagus and bend it about an inch or two from the end. It should snap where the asparagus is too tough. Discard the small end pieces. 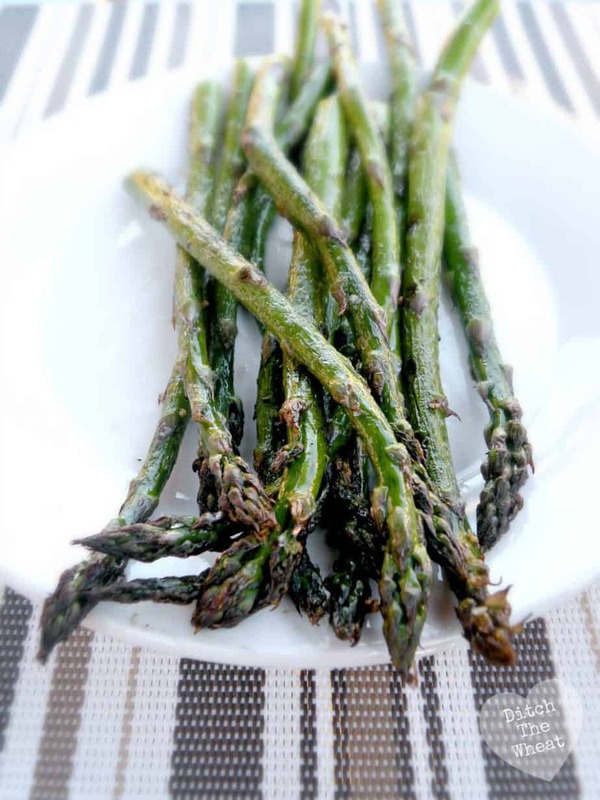 Drizzle olive oil all over the asparagus. Sprinkle Montreal Steak spice on the asparagus. I like to sprinkle a little bit. Montreal Steak spice can be quite strong. 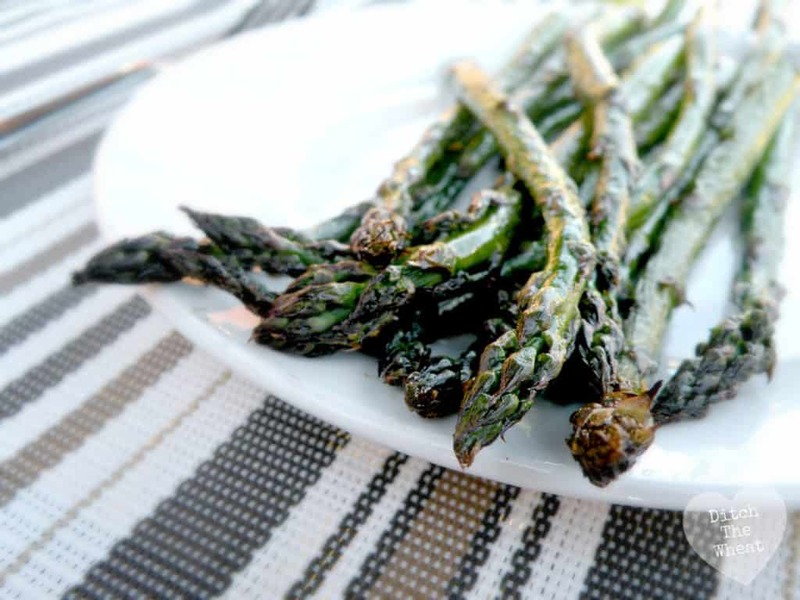 Place the asparagus on a preheated grill set on medium heat. Turn the asparagus at least once. The asparagus is done when it has a slight bend to it when picked up. Enjoy, How do you use your Montreal Steak spice?